Expand search to view more listings in and around Tarrytown. See more offices in and around Tarrytown. We have 1 office center with a variety of temporary office space available for rent in Tarrytown. Offered fully furnished, with modern finishes and high-spec cabling, the business suites, executive offices and shared space we offer provide you with the opportunity to conduct business in a sought-after location from professional office space without the high overheads and commitments of commercial real estate leases. Our service was created to help companies find new premises as easily as possible. Flexible contracts and competitive pricing allows companies of any size and budgetary requirement to find a location in Tarrytown that is perfect for them. Our team works hard to ensure that the entire process is as easy as possible for our clients. Every office on this site has an individual page, which lists the features offered by each building. Click on any of the offices to find out more info, and if anything you are looking for isn't obvious please feel free to contact us and ask. Simply choose any of the Tarrytown offices for rent listed on this page. 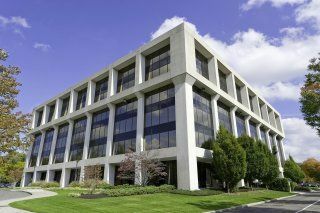 All of the office space and business premises are available on flexible rental terms to suit your needs and are located in prime Tarrytown business positions. In addition, we have an impressive selection of prime office space in other New York locations, available on flexible terms to suit your individual business needs. For all your office requirements, contact us using the form or phone number above.